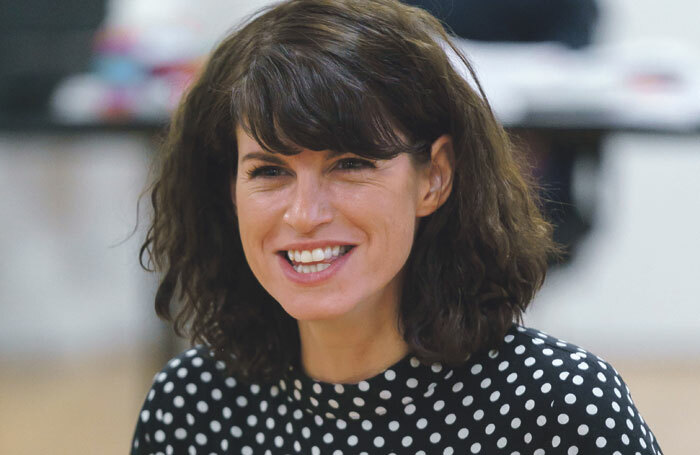 Spend any time in Jemima Rooper’s company and you can’t help noticing that she laughs, a lot. It adds brio to the 35-year-old actor’s sparkling conversation; professionally though, that laugh can be a bit of a problem. During a break from rehearsals for a new revival of Alan Ayckbourn’s comic trilogy, The Norman Conquests, Rooper reveals – with a laugh, of course – that she is struggling with corpsing. Rooper is probably best remembered for her role as Rachel Crabbe, the first “guvnor” of the National Theatre’s 2011 smash comedy, but she has notched up an impressive catalogue of acclaimed stage performances over the past decade: from West End productions including Blithe Spirit,  opposite Angela Lansbury, and All My Sons  to the National Theatre’s The Power of Yes  and Her Naked Skin . Next, she will play Annie in the Chichester Festival Theatre revival of Ayckbourn’s trio of interconnecting plays: Table Manners, Living Together and Round and Round the Garden, known collectively as The Norman Conquests. The plays, described as farce meets comedy of manners, follow the thwarted ambitions and absurd situations of a family gathering at an English country house over a weekend. Yet Ayckbourn’s humour – once described as “dazzling and dancing” – masks a darker story of relationship tensions and emotional turmoil. The productions are being marshalled by Blanche McIntyre – “she’s brilliant, so gentle and civilised” – who directed Titus Andronicus at the Royal Shakespeare Company this year. The plays will be performed individually each night – the first time Chichester has staged a production in-the-round – but on seven days in the run all three will be performed, starting at 11am. These marathon days hold no fear for an actor who once appeared in a cycle of 12 short works at London’s Tricycle Theatre. On the weekends, The Great Game: Afghanistan , would run all the way through. Rooper enjoyed building a “real relationship” with an audience that commits to the day. 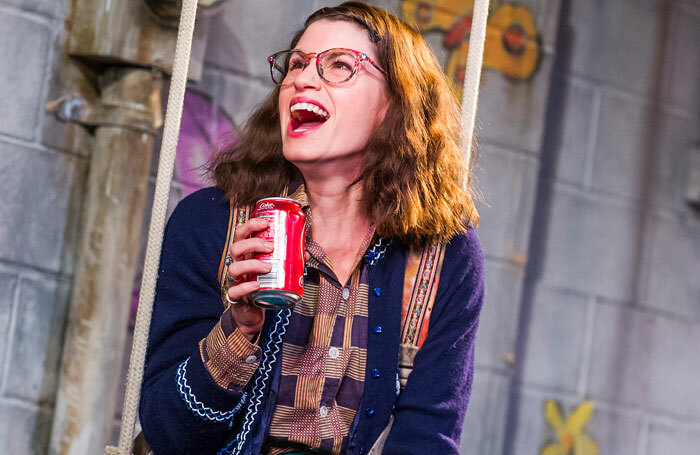 As for the actors, it is “almost easier to do different plays rather than the same one twice, with a matinee and then an evening show”, she says. Rooper wanted to act ever since she saw films such as To Kill a Mockingbird – “I tried to get my junior-school friends to call me Scout” – Annie and Oliver! and thought of the child actors: “I can do that”. At the age of nine, she wrote “I want to act” in lipstick all over her bed frame and shortly after appeared as the Artful Dodger, foreshadowing a career punctuated by gender-swapped roles, in an amateur production of Oliver!. She was spotted while still at junior school and appeared in Channel 4 film The Higher Mortals. Coincidentally, current director McIntyre also appeared in it, though they never crossed paths. Training at Sylvia Young Theatre School followed and Rooper landed the part of George in the television adaptation of The Famous Five. After A levels, she debated drama school but always managed to get “just enough” work to keep going. TV audiences who came of age in the 1990s may recognise Rooper from her role as man-eater Nicki Sutton in As If, the cult show about young people in London. She also built up a small screen following in Hex and Lost in Austen. Her professional stage debut was in London’s Royal Court’s Where Do We Live at the age of 20, directed by Richard Wilson. Her big break came six years later in Her Naked Skin on the National’s Olivier stage. What was your first professional theatre job? George in The Famous Five for children’s ITV. What’s your next job? A mini series called Trauma written by Mike Bartlett. What do you wish someone had told you when you were starting out? Don’t go through puberty on camera. Who or what was your biggest influence? Fizzy wine and loved ones. What’s your best advice for auditions? Fizzy wine. If you hadn’t been an actor, what would you have been? I really, really don’t know. Pre-acting childhood career prospects were: animator for Disney cartoons, animal trainer for TV/film, tattoo artist. Do you have any theatrical superstitions or rituals? I get a bit weird if I accidentally whistle in a dressing room. In the Ken Russell movie The Boy Friend, the actors make each other go outside, turn round three times and knock on the door. It stuck. 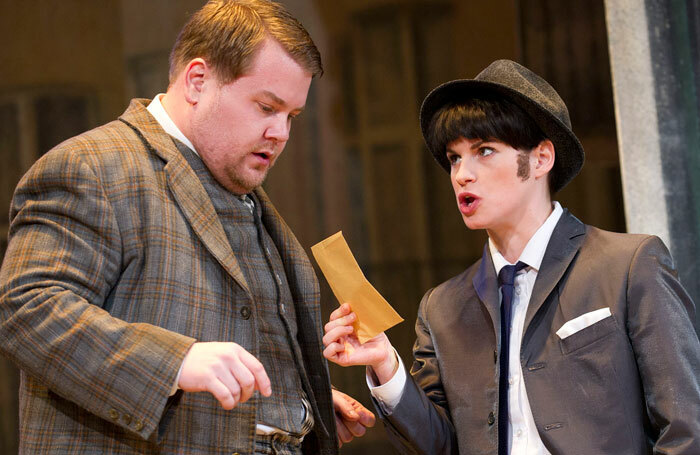 She was back at the National the following year for David Hare’s The Power of Yes, and then in 2011 for One Man, Two Guvnors. “That just became a rolling journey. We knew it was quintessentially entertaining, and that was very exciting. And it just went so well,” she says, adding director Nicholas Hytner was “phenomenal”. Rooper only did her first Shakespeare this year, A Midsummer Night’s Dream at the Young Vic, although she admits that was because of her own issues. “It became a thing in my head that I hadn’t done Shakespeare, that I didn’t have the ‘paperwork’,” she says. When director Joe Hill-Gibbins approached her, she thought it was time. “It felt less academic and more instinctual, playful and experimental. It blew out the fear.” Now she wants to do Lady Macbeth. Another frustration is hitting an age that is seen in the industry as “weird and inbetweeny – I’m not in one bracket or the other”. It means the roles are harder to come by and it is a problem, she says, that overwhelmingly affects women. She feels “something” should be done for women in the industry, including more support for new parents, a subject she knows all about. She has a young son with her partner, writer Ben Ockrent, whom she met at the Tricycle. Her first theatre job after giving birth was in Hand to God  at the Vaudeville Theatre in 2016. “Theatre jobs, unless they were West End, financially weren’t viable because of the cost of childcare, and support you need to go to rehearsals,” she says. She talks about appearing in Blithe Spirit in the West End, and then on tour, until she was eight months pregnant, and then suddenly we are back to corpsing. But it is Lansbury’s this time, who was set off by the quiet audiences in Toronto.